OCALA, FLORIDA, USA, April 12, 2019 /EINPresswire.com/ -- The Bible is a wonderful time. Carefully crafted, edited, revised and rewritten over more than 1500 years, the Book is an invaluable resource for wisdom and moral guidance that has constantly been refreshed by some of the greatest and most devout followers of God throughout the years. 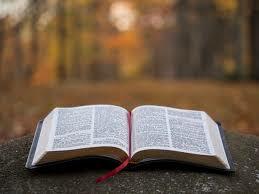 The Bible holds within it universal truths that can be revealed through careful study and interpretation. And while everyone should read their Bible daily, it’s easy to miss or even forget some of the most basic Biblical truths and get distracted by everyday life. For that reason we’ve teamed up with Patrick Sassnet, a youth pastor, to discuss some Bible facts that every Christian should be aware of. While the Bible itself is a massive book in and of itself, the smallest composite book within it is only a mere 219 words long. It’s 3 John, and if you’re a fast reader you’ll be able to complete it in under a minute. According to Patrick Sasnett, the book directly before it - 2 John - is the second shortest book in the bible, clocking in at 245 words.